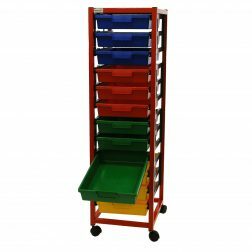 Trolleys for the educational sector have applications in primary schools as well as storage for nurseries, playschools, classrooms and other education environments. 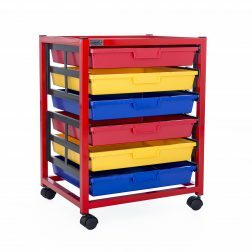 The colourful trays are useful for sorting storage or simply to fit a stimulating classroom. 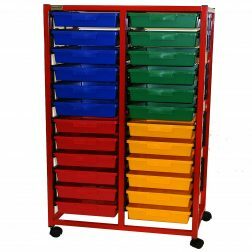 Suitable for storage of worksheets, stationery, art supplies, exercise books, textbooks and other books and papers up to A4 and A3 size. 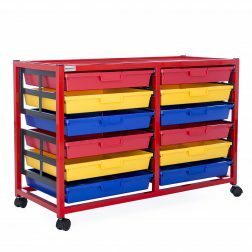 Easy to move and access for all ages.